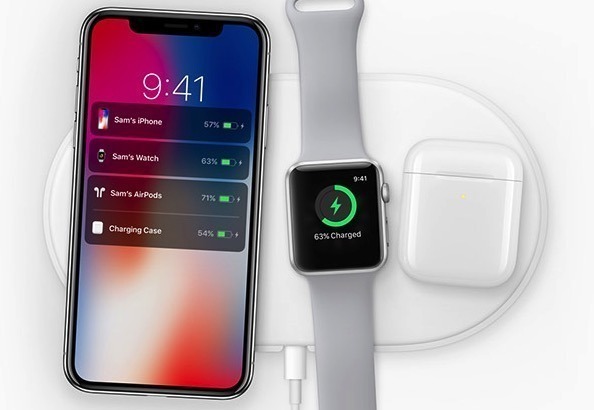 AirPower, Apple's long-delayed wireless charging mat capable of recharging up to three devices at the same time, is speculated to arrive in the first half of 2019 at some point. While not confirmed as arriving soon by Apple itself, there are more indications that Apple is building support for the accessory into its products. It is currently believed that an iPhone charging on the AirPower mat will show a 3D animation of all devices on the mat on its display, including indicators for charging status when they start recharging. References in the wireless charging section of the operating system's code in the sixth iOS 12.2 developer beta have been found to enable the graphics. Apple typically includes changes to code in its betas to enable future features as part of its testing process, and sometimes this includes supporting unannounced devices. The change, reported by 9to5Mac, is probably one of the clearest signs AirPower is on the way, and potentially quite soon. As to when it would actually be launched, it is probable that Apple will not ship AirPower before it releases iOS 12.2 to the public. As the developer beta has reached its sixth generation of builds, it's possible to happen within days, or the next few weeks. AirPower has had a rocky journey to its release, following Apple's initial unveiling of it in December 2017 and claims it would launch in 2018. Rumors pointed to a release in March, but to no avail, which then turned into a September launch that also didn't happen. In September, Apple seemingly wiped almost all mentions of AirPower from its website, leading to speculation it was either delayed or abandoned altogether. There were suggestions Apple had trouble implementing the technology to enable multi-device charging while remaining within the Qi standard, but the supply chain and rumors started back up again saying the project wasn't cancelled at all.